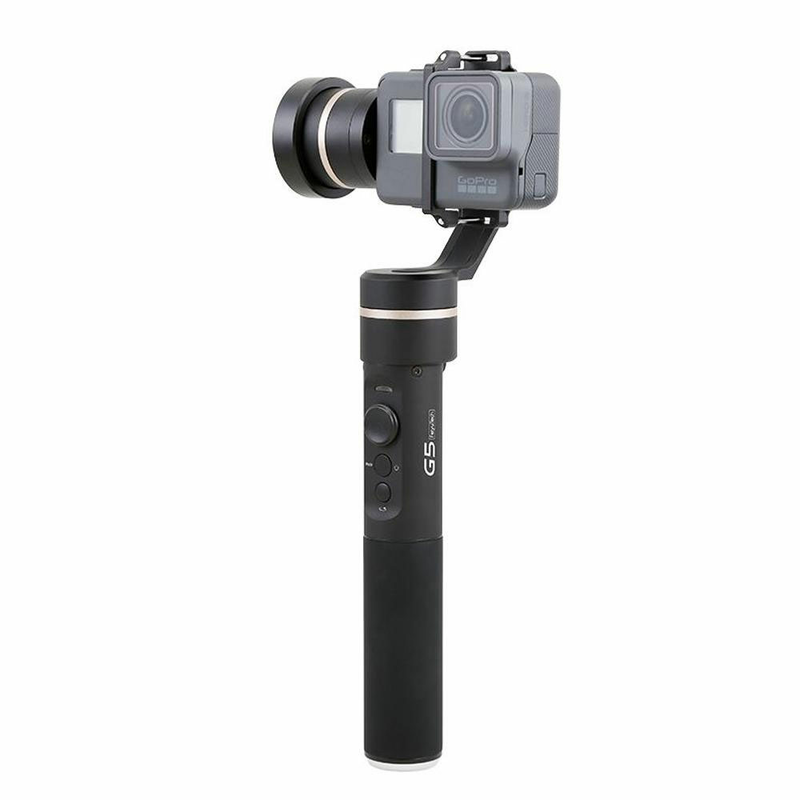 Feiyu G5 3 Axis brushless handheld gimbal is compatible with GoPro Hero 6/5/5/3/Seesion, Ant 4K, Mfox, AEE, GARMIN VIRB and the similar size cameras. 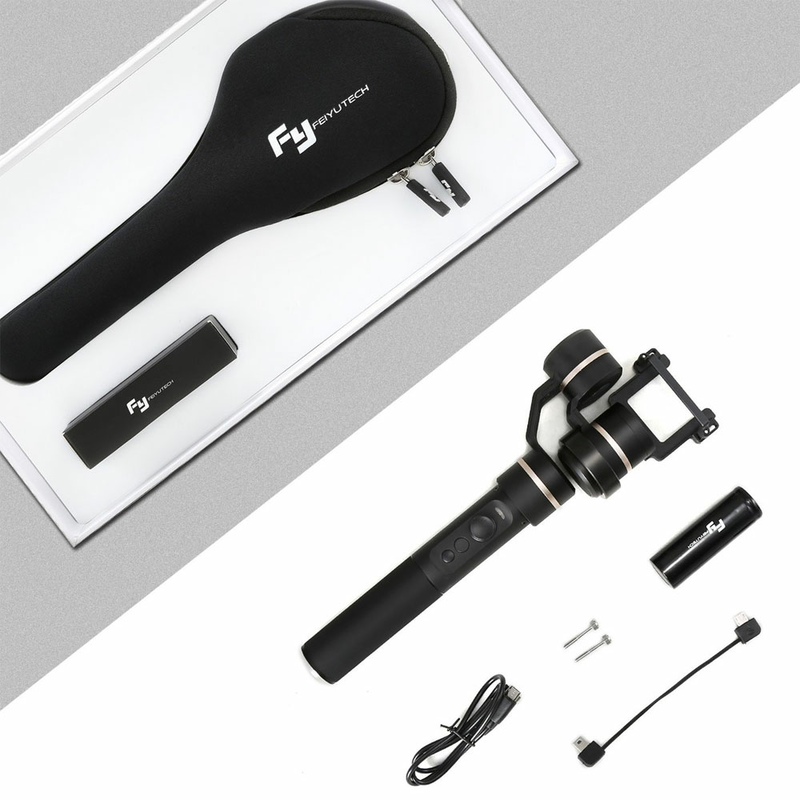 Feiyu G5 gimbal adopts world's first IP67-Splashproof technology, offering carefree filming experience in the rain, by seaside and at surfing. With a single 22650 li-ion battery, the working time can reach to 8 hours.